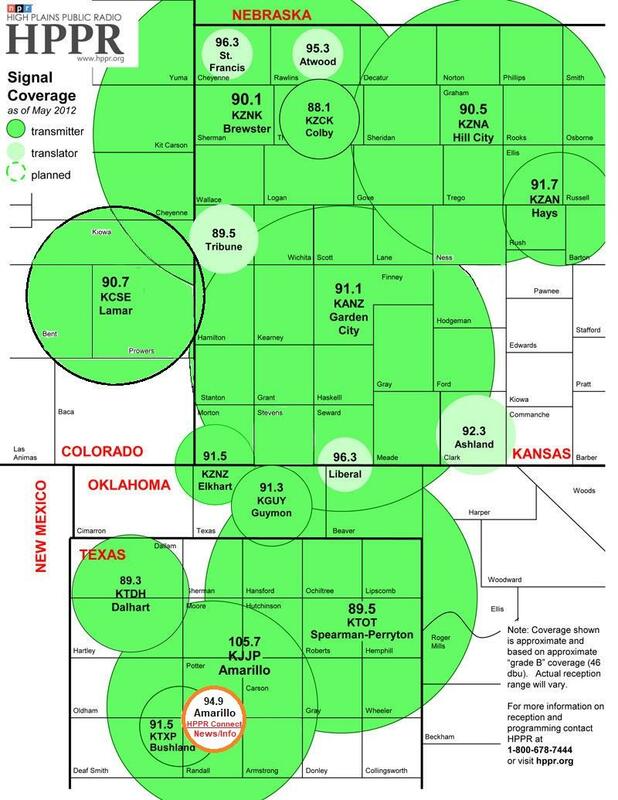 High Plains Public Radio operates a network of 18 FM stations and translators* providing public radio service to 78 counties across five states of the High Plains region. For nearly all of this area, HPPR is the sole source of public radio service. Technical details on each of the FM stations and translators can be found following the map below. Click here for a full-sized PDF map that can be downloaded and printed for ready reference. * FM translator stations repeat the signal of one of HPPR's FM stations. They are limited to a maximum of 250 watts of power, have limited protection under FCC regulations from interference from other stations and cannot originate local content.